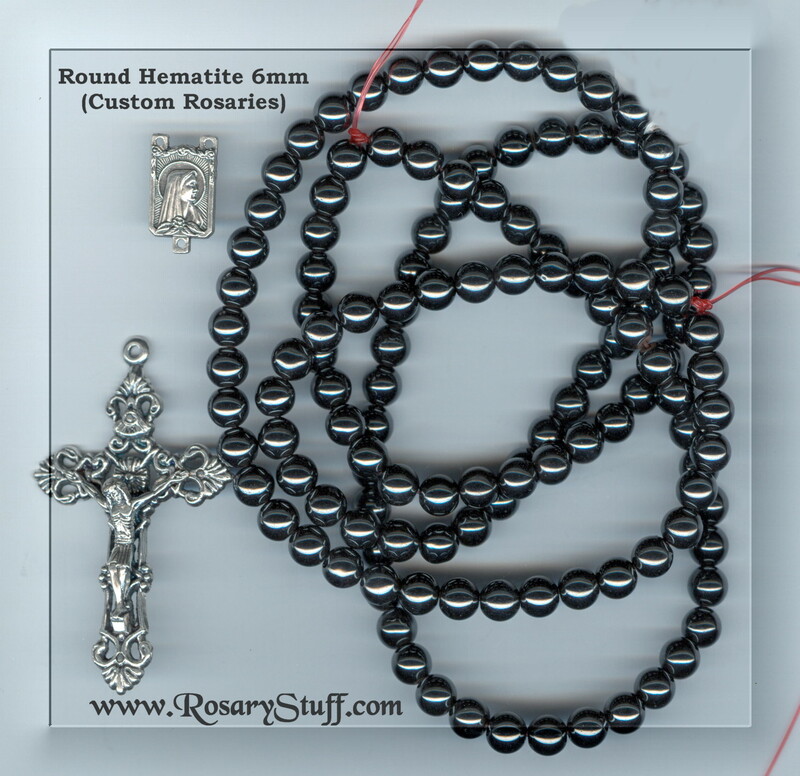 The parts shown here are a small example of what's available for your custom rosary. 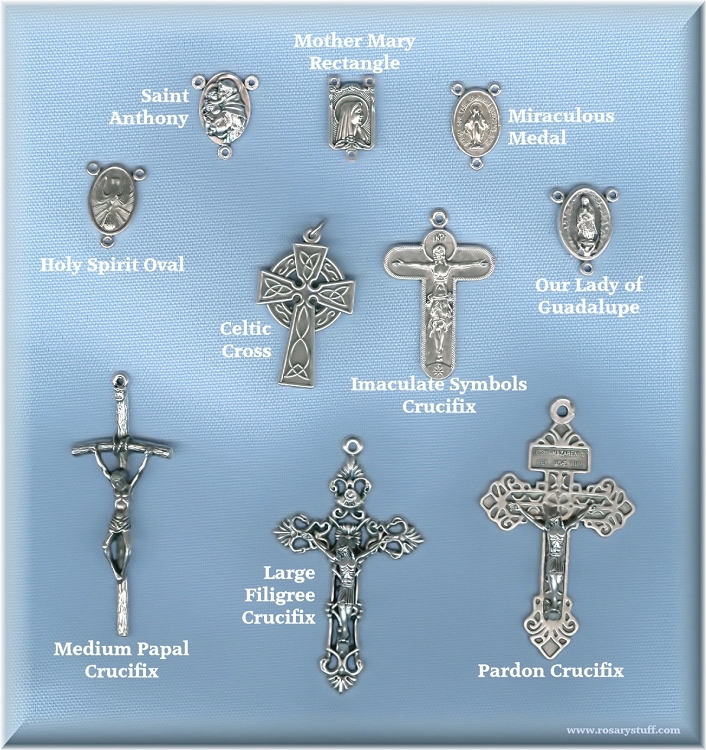 Pleas see my custom rosary parts section for more options. Step 1: Choose your beads. These 6mm Hematite round STONE beads would make a very nice rosary. These particular hematite beads are "man made" and has the same chemical composition as real hematite. In fact, real hematite was used in it's creation, but these beads are NOT magnetized for safety reasons. Called the "stone of mental mastery," many believe that hematite aids in achieving clarity, balance, calm and reason. It is also said to transform negativity into love, enhance memory and intellect, strengthen the circulatory system, and help in treating blood and kidney disorders. Would you like to use a different bead for the Paters? Click here to see what's available.